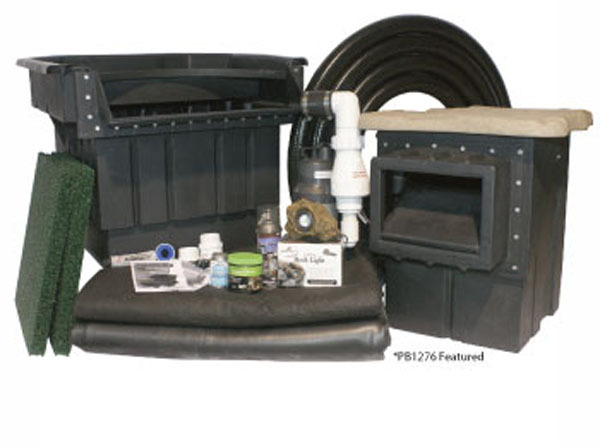 Do pond kits have everything you need? We have people come to our shop looking for “Pond Kits” all the time. For some it makes the thought of building a pond much easier. It will already have everything you need for a cookie cutter pond. But do you really want a cookie cutter pond?? Maybe but more than likely -not. We try to discourage the one size fits all pond. Because everyone’s idea of a pond is different. It comes with the customary liner, small pump, small filter, maybe a light. But they are designed to get you into a pond but not the best match for all people’s needs. It is best to find a pond supply company that will listen to your plans and can guide you to the right equipment. They will ask you questions to find out your expectations. These are some of the questions you should be prepared to answer. Is your location shady or sunny? Do you want to build it yourself with guidance or hand it over to a pond professional? Do you want fish, if so Koi or just other pond fish? How many fish are you thinking? A lot or a small amount? Do you live in an area that has predators like raccoon’s or herons? To you want aquatic plants? Water lilies or bog plants or both? How much time do you want to spend maintaining your pond? Do you want an internal pump or external pump? And what is the difference? Do you want an internal filter or an external? And what is the difference? Do you want or need a skimmer?? What is a skimmer? Would you like to illuminate the area with lights or have pond lights? Your pond professional should be able to answer all of these questions and help you to come up with the absolute best combination to fit your needs. 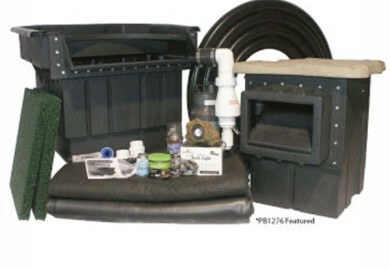 It really does not cost any more than a pond kit but will be custom to your needs to make it perfect. Then all you need to do is enjoy it for many years to come. Article: Do you want a pond kit?